TruAmerica Multifamily was founded in 2013 on the premise that repositioning class B apartment communities presents a tremendous value proposition for investors. 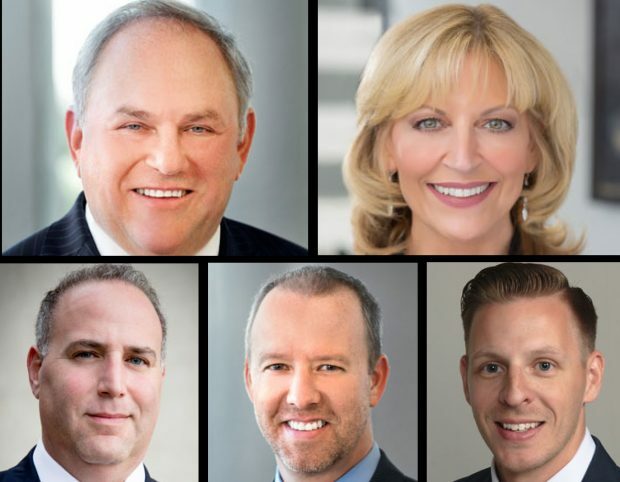 Clockwise, from top left: TruAmerica Multifamily Founder, President and CEO Robert E. Hart built the firm’s management team, consisting of COO Lynn Owen; Matt Ferrari, Senior Managing Director, Acquisitions; Noah E. Hochman, Senior Managing Director, Capital Markets; and Mark Enfield, Chief Administration Officer. TruAmerica Multifamily was founded in 2013 on the premise that repositioning class B apartment communities presents a tremendous value proposition for investors. The company targets working American renters living in markets where the supply and cost imbalances are the greatest. Since it launched, the firm has acquired 96 properties and has 151 assets under management. All together, it manages a $7.9 billion portfolio of 37,240 units throughout the Western and Eastern US. The company is a partnership between industry veteran Robert E. Hart and Guardian Life Insurance Co. of America, a Fortune 250 company. TruAmerica’s transformative moment took place in 2015, when it partnered with an syndicate of institutions to acquire a 14-property, 2,669-unit portfolio for $482 million in what was the largest multifamily buy in Southern California in nearly two decades. Today, the firm continues to expand its holdings by selectively acquiring, renovating, and effectively managing multifamily properties. The company’s leadership team has been key to its success with each member having at least 15-plus years of industry experience. Prior to founding TruAmerica Multifamily, president and CEO Bob Hart spent 14 years as chief Kennedy Wilson Multifamily Management Group. As COO, 30-year industry vet Lynn Owen oversees all asset and construction management and portfolio operations functions. Mark Enfield, chief administration officer, has 16 years of CRE finance experience. He is responsible for corporate strategy, governance and compliance, portfolio management, public relations and risk management. Both Owen and Hart are on TruAmerica Multifamily’s Investment Committee, which Hart chairs. Noah E. Hochman is senior managing director for capital markets, charged with sourcing equity capital, investor relations and debt strategy. He also oversees joint venture structuring and partnerships. He, too, is a member of the firm’s Investment Committee. And in the firm’s Arlington, VA office, Matt Ferrari, senior managing director of acquisitions, evaluates national acquisition opportunities while leading TruAmerica’s Eastern US business operations. Continue to Next Influencer . . .
At the Regional Plan Association’s Annual Assembly, Eric Garcetti’s advice to New York was to be bold, fail forward and embrace capabilities.